Click the “Register” link from the menu at the top and enter your details on the Register Now page. If you’re a PACEY member, tick the box and enter your PACEY membership number and Postcode. Once complete click the “Get started” button. You will now receive an email to activate your account. Click the link to begin the setting up process. A tablet or phone, with a modern web browser. Kinderly recommends using Android devices with at least a quad core processor and 2GB of RAM, such as the Samsung Galaxy Tab 4 and above, Samsung Galaxy Note 10.1 2014, or Apple iPad 2 and above.iPad users please make sure you have the latest iOS installed. During the registration process you will be asked to set a ‘Parent Passphrase’ – this is a secret codeword you have to give to parents after you have added them to the system. This is an extra security check to make sure the person who is trying to access the system is a real parent from your setting. You can later edit this word in the ‘Preferences’ section of the online dashboard. 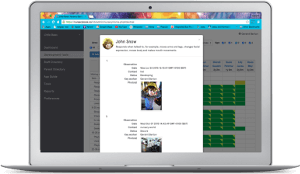 In Kinderly children are assigned to groups, with each mobile device being synchronised to a specific group – there may only be one group of children for your whole setting. You can add a child here or click “Skip” to add children at a later point. Children can be added both individually from the online dashboard or all the children can be added in one go from an Excel file – please contact Kinderly support if you need with importing the Excel file. Before installing the Kinderly app on your mobile device, give your device a name and set a 4 digit PIN – this will be used to login to the app. The device name will show in the Group on the online dashboard and the pin is used to login to the app. Clicking the “Next Step” button will give you a ‘Device Authentication Code’ to enter into the app. You can also view the DAC on the dashboard later. During installation you will be asked to enter the ‘Device Authentication Code’ from the previous step. It can take a few minutes to complete the initial setup depending on how fast your Internet connection is. The drop-down “Select user…” will show all practitioners registered to that group. Initially it will be the name you registered with; however you can add more practitioners to a group in the ‘Dashboard’ or ‘Practitioner Directory’ section of the online Admin Dashboard. The 4-digit PIN required is the one you set in the steps above. Each practitioner will have a PIN unique to them. Note the Camera button at the bottom of the log-in screen, this is so you can capture those WOW moments instantly, without spending time logging on. You are now ready to start your Kinderly journey. Choose the child (the box will change colour), click the blue circle for more options and then click View Profile. Click on the profile picture and then again, this will give you the Change Profile Photo page. Either take a photo or add from gallery. If the uploaded image is not square, crop it by scrolling the corners in and click “Save” and then “Save” again. It is also possible to change the child’s profile photo on the web dashboard. Clicking on the child’s name will open the Child Profile page. Click “Edit” at the top right corner and you will gain access to the Child Edit page. Scroll down to the ‘Photo’ section and click the “Choose File” button, pick the relevant picture and click “Open”. A preview of the photo will appear in a cropping tool. Click and drag on the box to crop the image to a square photo. Click the “Save Changes” button when done. On the app, select a child and press “New observation” at the bottom of the screen. Fill in the information accordingly. Definitions of each section are given below. Send to parents checkbox – If the checkbox is selected an email of the observation will be sent to the parents after the observation has been authorised. Baseline observation- This option can be selected to show where the child is during a baseline assessment. 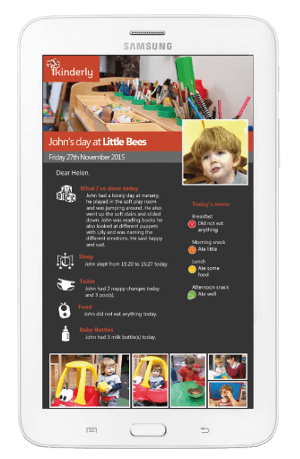 The selected EYFS aspects and milestones will be highlighted with a grey box to show the child’s baseline level. Context – This is the title and context in which the observation was taken e.g. was it indoor/outdoor play independent play, during everyday routines or when engaged with others. Observation – A description of what happened during the observation. Photos & videos can be uploaded which are linked to the observation as evidence. To add photos, milestone statements and other information to the observation, click the blue circle in the bottom left corner. You can see the Milestones in 2 formats by clicking on the button at the top. Choose the Milestones you wish to add to the observation by simply pressing on each, then click the colours. The colours represent a different stage in the development. Once you choose a colour the highlighted milestones will change accordingly. Once completed, press “Save” or “Authorise”. You can also add Schemas, Leuven Scales & Characteristics of Effective Learning to the observation. This information is optional and will not be displayed if incomplete. Authorising an observation will send it out to parents and the staff, as per the preferences set-up. For information on how to use Kinderly, go to the Kinderly Help page and use one of the options available. Or type a question in the ‘Ask a question…’ field to see a list of tutorials available.